Babymoov’s new bouncer, the Swoon Up, combines comfort and functionality to create the perfect beginner baby seat. Unlike typical bouncers that place your tot at floor level, this must-have is height adjustable. So, whether you’re hanging out on the couch or eating dinner, your baby can always be at the right level to stay part of the action. 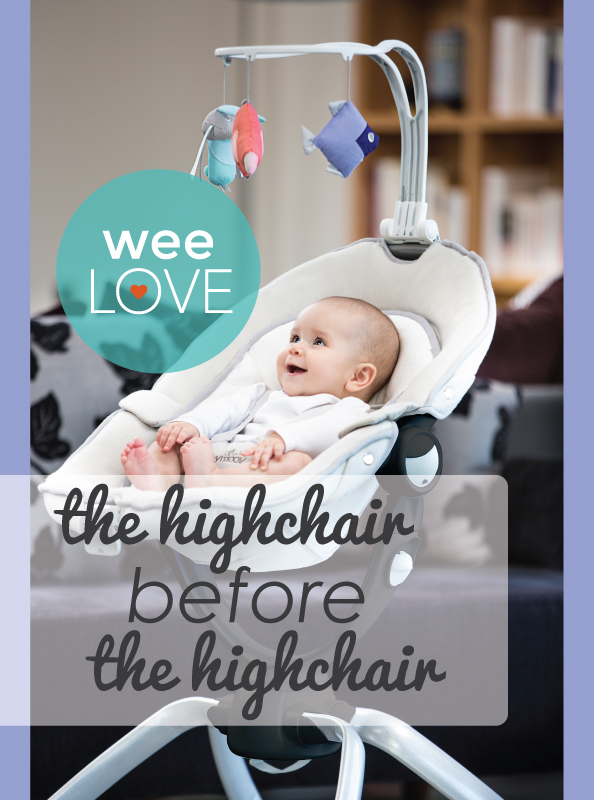 The Swoon Up rotates a full 360 degrees, ensuring your little sees you wherever you go (without having to shift the entire chair). Better yet, it reclines, rocks, has a removable 3-position toy bar, and folds up nice and neat for easy storing. The soft, washable fabric seals the deal. In a nutshell, you’ll swoon over this seat (we certainly are!). weeLove: Need a night out? We hear ya!